In pictures — The annual camp for children witnesses a whopping 92 percent increase in enrollment over last summer. 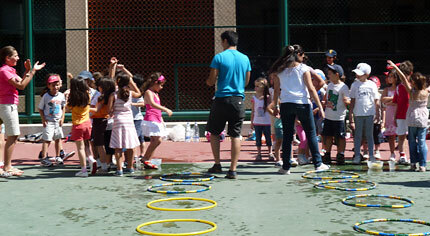 LAU’s annual Summer Camp, run by the university’s Continuing Education Program, witnessed record enrollment of 311 children this year, up from 162 last year, prompting organizers to add more activities, instructors and group leaders. 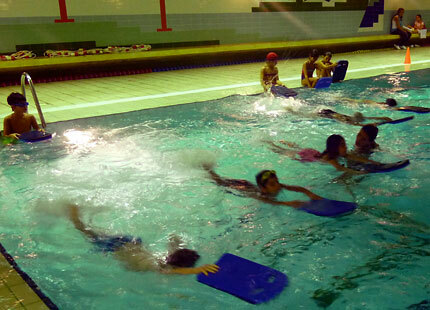 In addition to offering traditional games and activities such as basketball, swimming, chess, and cooking, the camp this year added illustration, computers, and a course on social skills. The number of groups doubled since last year from five to 10, and the organizers expect the program to keep on expanding, anticipating as many as 15 groups next year. The program started on July 5 and families had the option of enrolling their children between the ages of six and 12 in either a two, four, or six-week program. The last day is August 13. 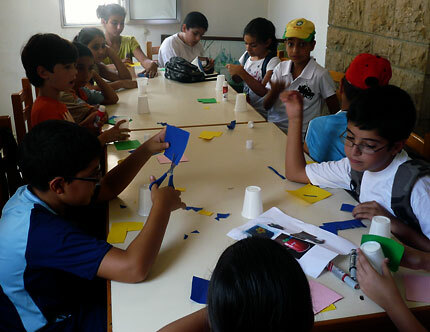 “We worked extremely hard on the Summer Camp this year,” says Bushra Badran, CEP officer. Badran noted that many of the families that signed up for the two and four-week programs ultimately decided to extend their children’s enrollment. 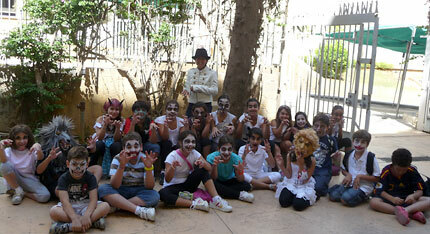 The camp takes pride in offering a mixture of entertainment and education through the activities. 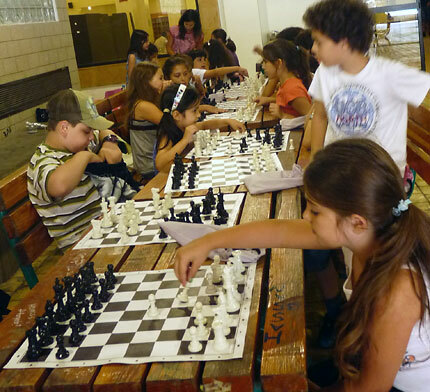 Games, such as chess, are chosen to keep children’s minds stimulated and teach them to develop strategy. 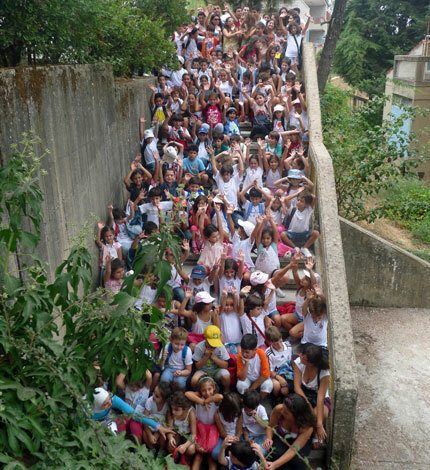 The new activities have been well-received by the children. For the first time, children from the new illustration course will be in charge of designing the brochure for next year’s camp. Children from four classes are competing for the best design. 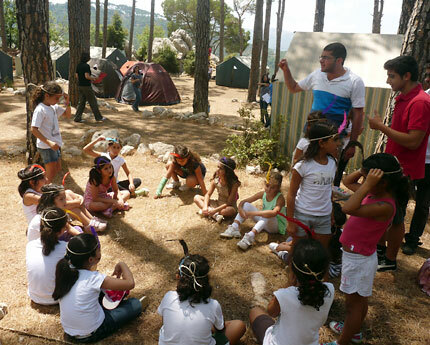 According to Maya El Khoury, the camp coordinator for the second consecutive year, the new social skills course has proven to be very popular as well. The course trains children on how to deal with everyday conflicts that arise at their young ages. The children came from diverse backgrounds. El Khoury says that many of them live abroad, mostly in London and the Gulf, and spend the summer in Lebanon. As such, they were grouped together by their languages. “What’s good about this year’s Summer Camp is that the team is very professional,” says El Khoury, who is also an LAU graduate student majoring in education. She says most of this year’s group leaders, instructors and assistants are veterans from previous camps with enough experience and expectations to know how to handle the job. 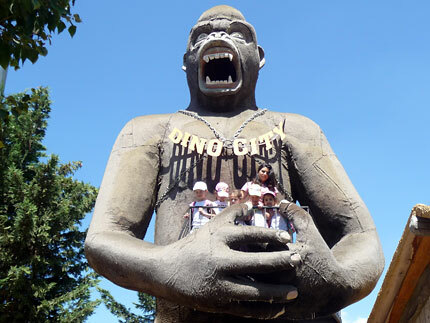 The trip to Dino City in Ajaltoun has been an annual staple of the camp for the last several years. 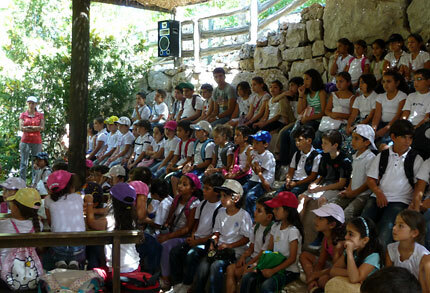 The program also included a trip to Sharewood Camp in Mount Lebanon, on July 21. The summer resort offers horseback riding, rock climbing, and other activities. 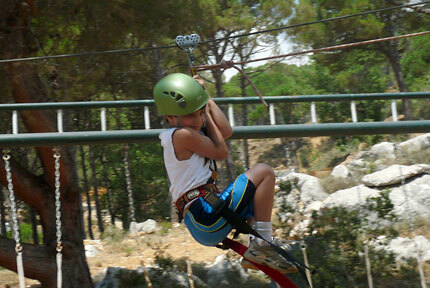 A child zip-lines during the Sharewood Camp trip. On July 28, the program featured a bazaar where children from business courses had the opportunity to sell items they made. 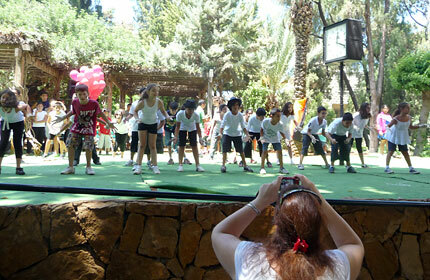 The same day, children took turns performing dances they learned during the Summer Camp. 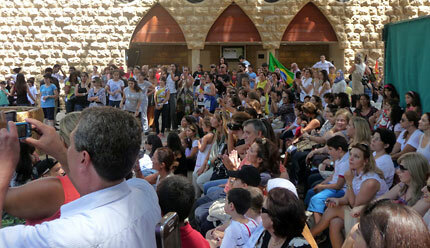 Parents were invited to watch their children perform during the show. 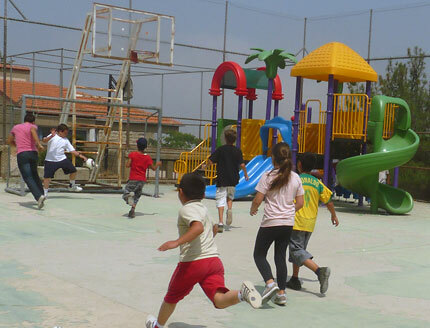 For the first time, the Summer Camp children were taken on a trip to spend the day with other children residing in the SOS village of Bhersaf in Metn, last week. 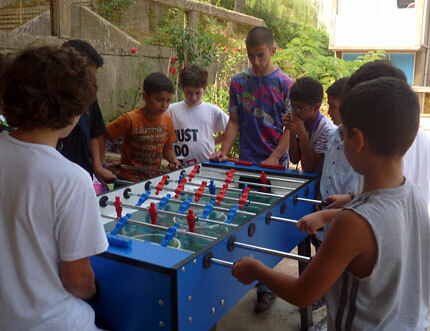 The village is one among several in Lebanon that houses orphans and children who are not provided with proper care. The children played and participated in various arts and crafts activities during the SOS village visit. Summer Camp organizers say the children formed quick bonds with each other and found it difficult to let go by the end of the visit.